It is important to note here that the discounted prices are applicable on purchases made with the particular retailer. 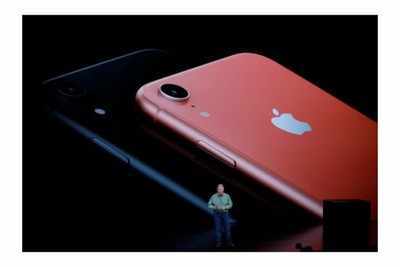 Prices of the smartphone are remain largely unchanged on Apple’s official website and major e-commerce platforms including Amazon and Flipkart. The cheapest you can buy iPhone XR (Product Red) with 64GB storage on Amazon India’s website right now is for Rs 72,999.
iPhone XR comes with a 6.1-inch LCD display and has a 1792×828 pixel resolution with 326 ppi. It is powered by the company’s own A12 Bionic processor and runs on iOS 12 operating system. As previously stated, the iPhone XR comes in three different storage variants – 64GB, 128GB and 256GB storage. The smartphone features Face ID unlock and is backed by a battery that can offer up to 25 hours of talktime. Buyers can choose from different colour options that include Coral, White, Yellow, Black, Blue and Product Red.